How Is Contract Labor Boosting Indian Manufacturing? The increasing use of workers hired on temporary contracts has been one of the most striking features of Indian labor markets. The proportion of temporary contract laborers has risen from 12-24% in the span of 20 years, and in some Indian states, these workers comprised by more than half of the manufacturing companies. In India, the contract labor act has been regulating the employment of workers on contact since 1970. This act secures minimum wage, safety, health, and insurance for them. But these temporary workers are not permitted the same advantages that permanent employs are granted by the industrial disputes act, 1947. One of the main advantages of industrial disputes act is that without the permission of the government and the relevant department, no permanent worker can be fired. But this act does not apply on temporary contract workers and these workers are depending on staff agencies mostly. According to a study, as the use of contract workers have been increased by the companies, the industry governing these labors on contract basis has become a prime indicator of economic activity. For example, in many countries, during the periods of economic expanse, the use of these temporary workers increases and during economic fall, it decreases (Chicago Booth Review, 2017). A study found that the share of temporary employs comprised by Indian companies having more than 100 workers increased from 30% to 60% between 1990 and 2011 (ideasforindia.in, 2017), and the share of these temporary workers in total employment raised by 20% in 20 years. If the investment does not succeed, temporary contract workers can go back at a lower cost to the staffing companies. Therefore the companies using these temporary workers are more likely to pursue risky investments. While the companies have to pay severance packages to all the employees they fire, temporary workers can be terminated for no cost. Many researchers conducted their researches to estimate the effect of rise of temporary labors on the economy of India. For the purpose of measuring the rise in employment of temporary contract workers, they used the locations of staffing agency hubs as a proxy, using their initial location in 1998 to predict the contract labor’s growth in market. The researchers could evaluate the effect of temporary workers growth on various economic variables due to the geographic variations in staffing agencies. The manufacturing output has been raised by 0.56% due to the increment of 36% of total employment in contract labor in the 2000s. This is noteworthy, because during this period, the manufacturing GDP of India was actually declining; suggesting that contract labor has a significant impact on the economy of India. The researchers also demonstrate that during the time of the study, the increased supply of temporary labors increased the introduction of new products by various firms. To avoid tough labor laws, the use of staffing agencies has proved to be better business for the economy of India. The data suggest that large companies are more likely to shrink their marginal costs with temporary workers; hence they find them particularly helpful (Harvard Business Review, 2017). 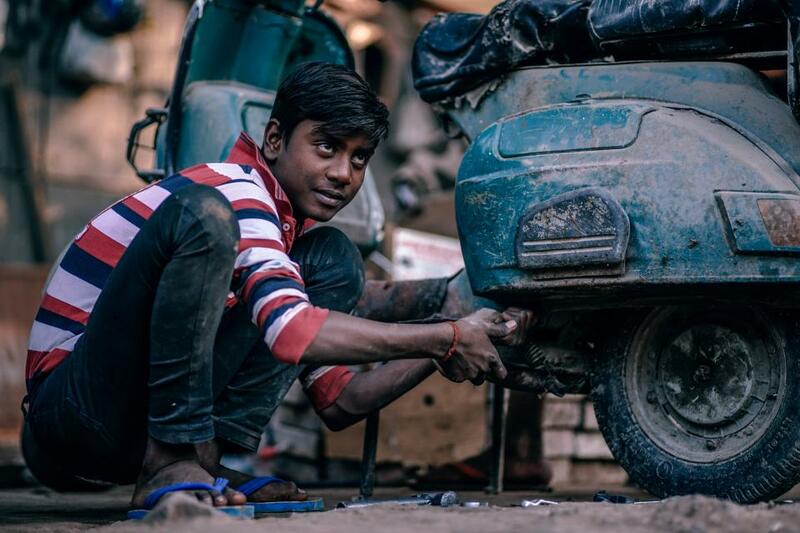 “How contract labor is boosting Indian manufacturing.” Chicago Booth Review, review.chicagobooth.edu/economics/2017/article/how-contract- labor-boosting- indian-manufacturing. Ideasforindia.in. (2017). What explains the increasing use of contract workers in Indian manufacturing?. [online] Available at: http://www.ideasforindia.in/article.aspx?article_id=364. Harvard Business Review. (2017). Understanding the Rise of Manufacturing in India. [online] Available at: https://hbr.org/2015/09/understanding-the- rise-of- manufacturing-in-india. This labor essay explains how contract labor is boosting Indian manufacturing and it will help you if you have the similar topic to write on. Examples of essays posted on our site are presented only for viewing. If you can’t write a decent essay, you may order it on WriteMyEssayOnline.com. Our samples became models for many students of how they should compose their papers, but not all students possess skills to do it properly. If you are one of them, get our help and you will become successful in your study. All customers who have ordered papers on our site remain satisfied with our service. We have helped numerous students from all over the world with different types of papers. We work 24/7, so it is convenient to contact us from any place of the world. Today, students are rather busy – they usually don’t have enough time to deal with all assignments. Our writers write essays for money fast, so you will get a completed paper even before the deadline. You can contact a writer directly via chat and he or she will answer any question that you may have related to your order. Make your study easier by placing an order on our site!